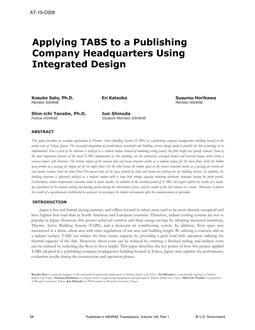 This paper describes an example application of Thermo Active Building System (TABS) in a publishing company headquarters building located in theurban area of Tokyo, Japan. The successful integration of architectural, structural and building services design made it possible for this technology to beimplemented. Since a part of the structure is utilized as a radiant surface instead of mounting ceiling panels, the floor height was greatly reduced. Some ofthe most important features of the novel TABS implemented in this building, are the alternately arranged nomal and reversed beams, which form aconcave-convex salb structure. The bottom surface of the concave slab and beam structure works as a radiant surface for the lower floor, while the hollowspace works as a passage for supply air for the upper floor. On the other hand, the hollow space in the convex structure works as a passage for return airand smoke exhaust from the lower floor.This means that all the space formed by slabs and beams are utilized for the building services. In addition, thebuilding structure is effectively utilized as a radiant surface with a large heat storage capacity reducting electricuty demands during the peak period.Furthermore, indoor temperature variation could be made smaller. 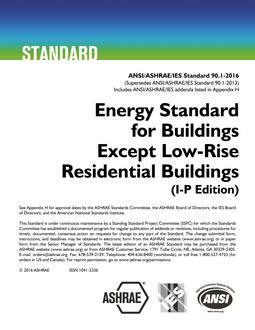 In addition to the essential points of TABS, this paper reports the results of a mockupexperiment of the radiant cooling and heating system during the construction phase, and the results of the heat balance in a room. Moreover, it reportsthe results of a questionnaire distributed to occupants to investigate the indoor environment after the commencement of operation.